The gardens at John Clare Cottage are maintained by our group of willing volunteers. 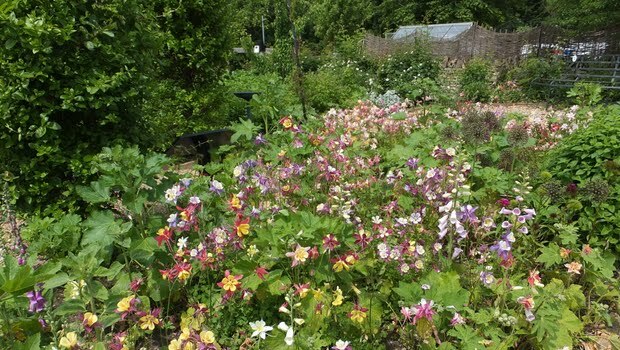 They consist of a herb garden, together with a fruit bed, a vegetable patch, a flowering herbacious border and an orchard. The plants are varities that would have been around in the time of John Clare. We also have our own bee hive and have successfully produced our own honey which, when available, can be purchased in the Cottage Shop. 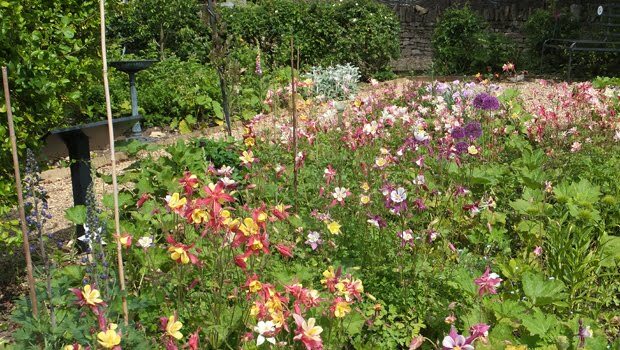 The cottage gardens continue to delight visitors each year with an ever-changing display of flowers, fruits, vegetables and herbs. The newer areas of the garden are maturing nicely with trees, hedging and flower borders all now well established. The garden volunteers have further developed the garden by planting new specimens, constructing compost areas and extending dry stone walls. The working beehive brings another interesting dimension for garden visitors to enjoy, with many people returning each year to purchase John Clare cottage honey.